Damascus, SANA – President Bashar Assad asserted that the cessation of military operations requires preventing the terrorists from using it to improve their position, as well as preventing other countries, especially Turkey, from sending more recruits, more terrorists, more armaments, or any kind of logistical support to terrorists, adding that the Russian and the Iranian support were essential for the Syrian Army to make its advancement. Question 1: You have recently allowed humanitarian aid to go into seven besieged areas. Some claim there are at least 486,000 people living in those areas, some for even more than three years. Why did this happen so late in the conflict? President Assad: Actually, it hasn’t happened recently; it’s been there since the beginning of the crisis. We never make embargo on any region in Syria. There’s a difference between embargo and the army surrounding a certain area because of the militants, and that’s natural in such a security case or military case. But the problem with those areas is that the militants themselves took the food and the basic needs of those people, the people there, and gave it to their militants or sell it to the people with very high prices. As a government, we never prevent any area from having assistance, including the areas under the control of ISIS, like al-Raqqa in the north that’s been under their control, and before that al-Nusra for nearly three years now. We’ve been sending them all the salaries for the retired people, all the salaries for the employees today, and we send them vaccines for the children. Question 2: So, food and salaries still go into even al-Raqqa and Islamic State strongholds? President Assad: Exactly. So, if we send it to al-Raqqa, which is under the control of ISIS, because we think as a government that we are responsible of every Syrian people, how can we not do it in other areas? That’s not realistic, that’s contradiction. So, that’s why I said it’s not recently; we never stopped allowing the assistance, or, what do you call it, food. Question 3: It will continue to happen? Question 4: A truce was announced by Russia and the United States. 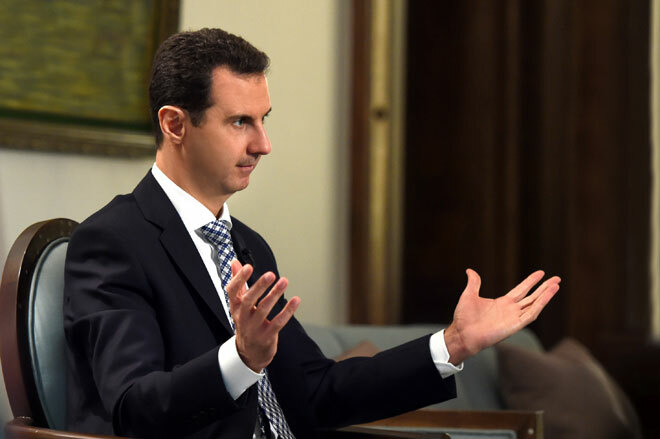 Is the Syrian government willing to respect the cessation of military operations in Syria? 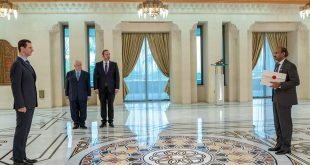 President Assad: Definitely, and we announced that we’re ready, but it’s not only about announcing, because maybe the other party will announce the same. It’s about what are you going to do on the ground. Ceasefire is about – if you want to say ceasefire, it’s not the correct word, because ceasefire is between two armies or two countries – it’s cessation of hostility, or, let’s say, stopping the operation, if you want to call it like this. 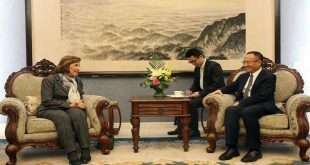 It’s about, first of all, to stop the fire, but it’s about the other complimentary and more important factors, preventing the terrorists from using the ceasefire or the cessation of hostility in order to improve their position. It’s about preventing other countries, especially Turkey, from sending more recruits, more terrorists, more armaments, or any kind of logistical support to those terrorists, and you know there’s a United Nations resolution, or Security Council resolution, regarding this point that’s not implemented. 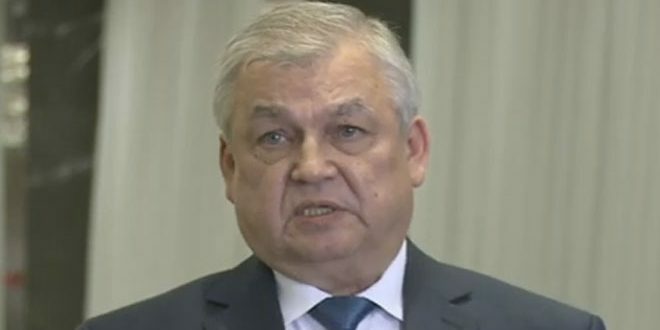 If we don’t provide all these requirements for the ceasefire, it will be against, let’s say, the stability; it’s going to make more chaos in Syria, it may lead to de facto division of the country. That’s why if we want to use the ceasefire, it is positive providing these factors. Question 5: So, there will be still some fighting even though there’s this ceasefire, at least against some of the armed groups? President Assad: Yes, of course, like ISIS, like al-Nusra, and other organizations or terrorist groups that belong to Al Qaeda. Now, Syria and Russia announced four names: Ahrar al-Cham and Jaish al-Islam and al-Nusra and ISIS. Question 6: Your forces have surrounded Aleppo. It’s one of the big strongholds of the opposition. When do you expect to fully regain control of that city? 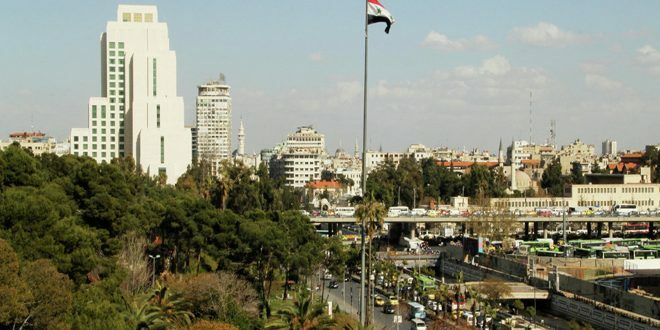 President Assad: Actually, we are in the middle of the city, so, yes, a large part of the city is under the control of the government, and most of the inhabitants of the other parts emigrated from the militants-controlled area to the government-controlled area, so it’s not about recapturing the city. Actually, it’s about closing the roads between Turkey and between the terrorist groups. That is the aim of the battles in Aleppo now, and we succeeded recently, we could close the main roads. Of course, it’s not a complete seal, let’s say, between Aleppo and Turkey, but it makes the relation between Turkey and the terrorists much more difficult. That’s why Turkey is shelling the Kurds recently, for that reason. Question 7: What comes after Aleppo? Is the Syrian Army willing to go even into al-Raqqa, the so-called capital of the Islamic State? 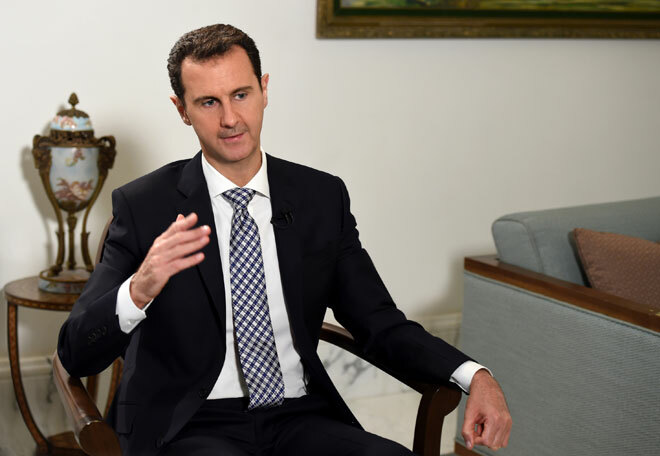 President Assad: In principle, we should go everywhere, but now we are fighting on more than ten fronts in Syria. Recently, we advanced towards al-Raqqa, but we’re still far from it. So, as a principle, yes we are moving to al-Raqqa and other areas, but the timing depends on the results of different battles now, so we cannot tell the timing exactly. Question 8: Russia has started an aggressive campaign of aerial bombings here in key opposition strongholds. This has been a turning point in the conflict. Some claim that you have the upper hand now. Do you think you could have made it without foreign help? 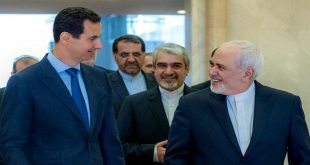 President Assad: Definitely the Russian and the Iranian support were essential for our army to make this advancement. To say that we couldn’t, this is, let’s say, a hypothetical question, because, I mean, it’s “if” so nobody knows the real answer of the “if,” but definitely we need that help for a simple reason; because more than 80 countries supported those terrorists in different ways, some of them directly with money, with logistical support, with armaments, with recruitments. Some other countries supported them politically, in different international forums. So, of course, Syria is a small country. We could fight, but at the end, there’s unlimited support and recruitments to those terrorists. You need definitely international support. But, again, this is a hypothetical question I cannot answer. Question 9: Regarding these Russian aerial bombings, are you concerned about civilian casualties? 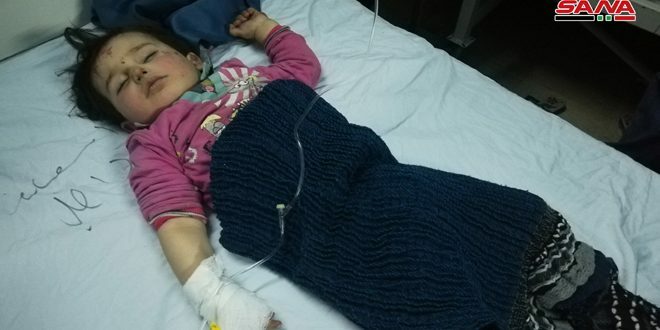 Like on Monday, there was a bombing in a hospital, 50 people were killed. The United States has claimed that the Russians caused it. Is it something that concerns you? 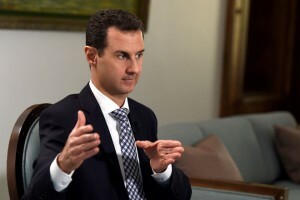 President Assad: Some other officials in the United States said they don’t know who did it, that’s what they said later. These contradicting statements are common things in the United States, but no one has any proof about who did it and how it happened. But regarding the casualties, of course this is a problem with every war. Of course I feel very sad for every innocent civilian who dies in our conflict, but this is war. Every war is bad, you don’t have good war, because you always have civilians, and you have innocent people that are going to pay the price. Question 10: So, how do you explain to your people, to the Syrians, that maybe a foreign army that is having operations here, can cause civilian casualties? President Assad: No, no. We don’t have any evidence that the Russians attacked any civilian targets. They are very precise in their targets, they always everyday attack the bases or the targets of the terrorists. Actually, it’s the Americans who did this, who killed many civilians in the northeastern part of Syria, not the Russians. I mean, not a single incident happened regarding the civilians so far, because they don’t attack in the cities; they attack actually mainly in the rural areas. Question 11: Talking about foreign armies, how would you react if Turkey and Saudi Arabia follow through with their statements that they plan on sending troops here to allegedly fight the Islamic State? President Assad: As you said, allegedly. But if it happens, we’re going to deal with them like we deal with the terrorists. We’re going to defend our country. This is aggression. They don’t have any right to interfere, politically or militarily, in Syria. This is breach of international law, and as Syrian citizens, the only option we have is to fight and defend. Question 12: Turkey has started bombing from their territory into Syria. President Assad: Exactly, and before that bombing, Turkey was sending the terrorists, it’s the same, the same goal, the same effect, in different ways. So, Turkey has been involved in Syria since the very beginning. Question 13: Saudi Arabia tried to unify the opposition in a conference in Riyadh. Some people linked to Al Qaeda were present in those meetings. Do you recognize any of the rebel groups as a legitimate party with whom you can negotiate in the whole opposition? 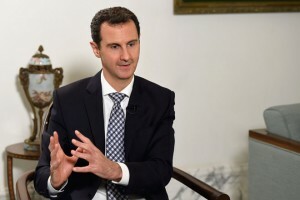 President Assad: You mean the rebels who are fighting on the ground? President Assad: No. Legally and constitutionally, everyone who can hold machineguns against the people and against the government is a terrorist, in your country, in my country, in every country in the world. You cannot say they are legitimate. They could be legitimate when they give up their armaments and join the political process. This is the only way in every country to rebuild your country or to change whatever you want to change, whether the constitution or the laws or the government, everything, you can, but through political process, not through armaments. Question 15: So, all those who are fighting, you deem them terrorists? President Assad: Unless they announce that they are ready to join the political process. We don’t have any problem with them. Question 16: So those people who have been fighting, take away their ideals or their intentions, if they lay down arms can they come back? President Assad: We’ll give them amnesty, and that happened, it happened during the last two years, and it’s accelerating recently. Many of them give up their arms and some of them have joined the Syrian Army now and they are fighting ISIS with the Syrian Army, and they get the support of the Syrian Army and the Russian airplanes. Question 17: So, if you, as you just stated, those who have taken arms against the government here, are all terrorists, with whom are you exactly negotiating in Geneva? 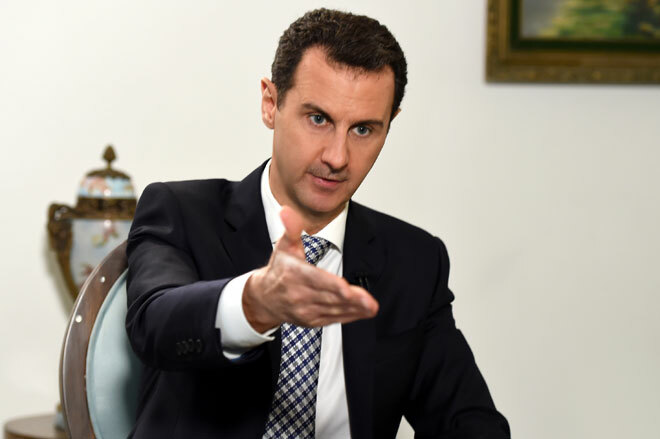 President Assad: I’m talking about the recent Geneva, Geneva 3 that failed. It was supposed to be a mixture of the people who are formed in Saudi Arabia, a mixture of terrorists and extremists or their supporters, and some of them Al Qaeda, and the other, let’s say, independent or other opposition who live outside or inside Syria. So, we can make negotiations with those, let’s say, Syrians, let’s say patriotic Syrians that are related to their country, but we cannot make negotiations with the terrorists, that’s why it failed. Question 18: What about those opposition activist leaders that are imprisoned from before the conflict in 2011? President Assad: All of them left the prison a long time ago, and most of them are in the opposition. Question 19: All of them? President Assad: All of them. We don’t have any of them. Before 2010, all of them left. Including some of them were terrorists, but they were sentenced for a few years, let’s say five or whatever, and when the crisis started, they joined again the terrorist groups. Question 20: You have proof of that? President Assad: Yeah, of course. One of them was the one who was killed, Zahran Alloush; he was imprisoned for several years, because he was Al Qaeda-affiliated. When the crisis started, he formed his own terrorist group, and this group is one of those four that I mentioned that we consider them as terrorist groups. Question 21: Some claim that there are 35,000 foreign jihadists. 4,000 came from Europe. The Spanish government has stated that there are some 300 that hold a Spanish passport. What will happen to these people if the Syrian Army captures them? Question 22: In general, the foreign jihadists. 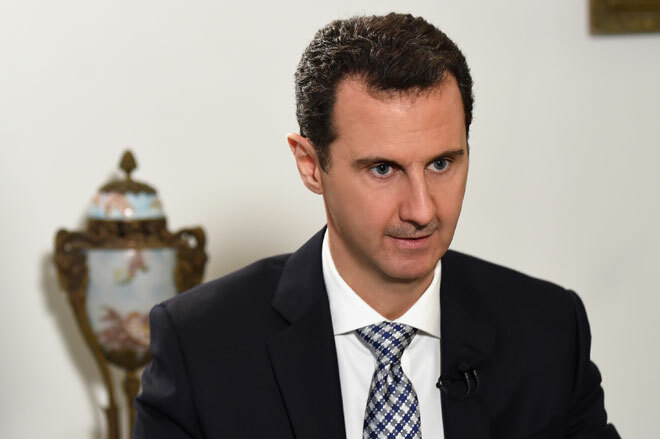 President Assad: First of all, we are dealing with them like any other terrorist. 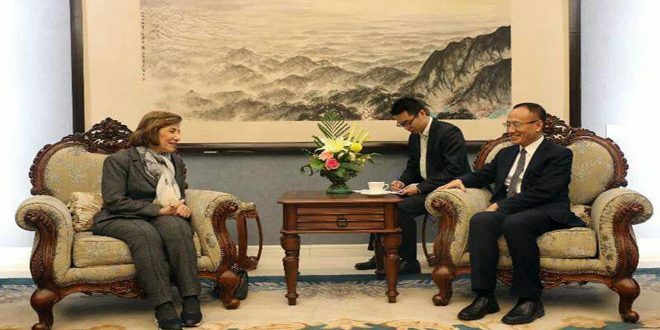 When you deal with them as terrorists on legal basis, there’s no distinguishing between the nationalities, but if you want to talk about, let’s say, if you want to send him to his country, or to extradite them to their government, it should be through relations between the institutions in the two countries. Question 23: Regarding this, what do you think attracts so many foreigners into Syria right now? President Assad: Mainly the support. They’ve been sent. It’s active, not passive, it’s actually active from the outside. Saudi Arabia is the main financer of those terrorists. They put them in airplanes, send them to Turkey, and through Turkey to Syria. The other attractive factor is the chaos; when you have chaos, this is very fertile soil for the terrorists. The third factor, the ideology, because they belong to Al Qaeda, this area, in our religious culture, in the Islamic culture, has a special place after Mecca and the other holy places and Jerusalem, they think that this is where they can come and create their own state. Of course, they’re going to expand later to other places, but the thought is that they can come and fight and die for God and for Islam. For them, this is jihad. Question 24: Regarding what would happen if the Syrian government claimed control of all the territory. Would you start a political process? Would you be willing to go to elections again? What would you be willing to do? 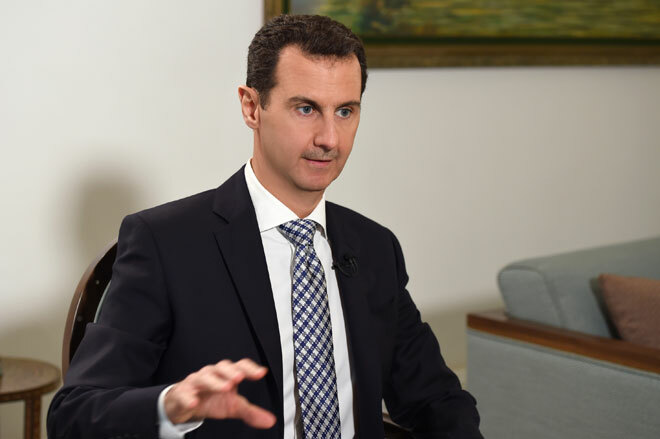 President Assad: The natural thing, first of all, is to form a government, a national unity government where every political party can join if they have the will. This government should prepare for the new constitution, because if you want to talk about the future of Syria, because if you want to discuss with different parties how to solve the problem, the internal problem – now I’m excluding the external support of terrorists – you need to discuss the constitution; you want to change it, you want to keep it, you want to change the whole political system, that depends on the constitution. Of course, the Syrian people should vote for that constitution. After the constitution, according to the new constitution, you should have early elections, I mean parliamentary elections. Some mention presidential elections. If the Syrian people or the different parties want to have elections, it will happen. Ultimately, solving the political aspect of the problem has nothing to do with my personal opinion. Question 25: Where do you see yourself in ten years? President Assad: The most important thing is how to see my country, because I’m part of my country. 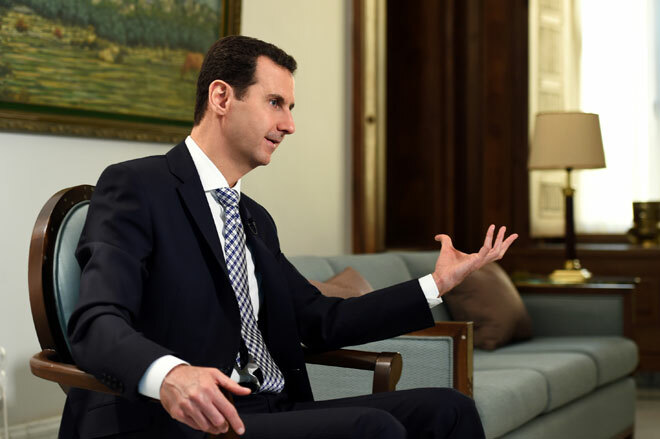 So, in ten years, if I can save Syria, as president – but it doesn’t mean I’m going to be there in ten years, I’m just talking about my vision to the ten years – Syria is safe and sound, and I’m the one who saved his country, that’s my job now, that’s my duty. So that’s how I see myself regarding the position, I’m talking about myself as a Syrian citizen. Question 26: Would you still like to be in power in ten years? President Assad: That’s not my aim. I don’t care about being in power. 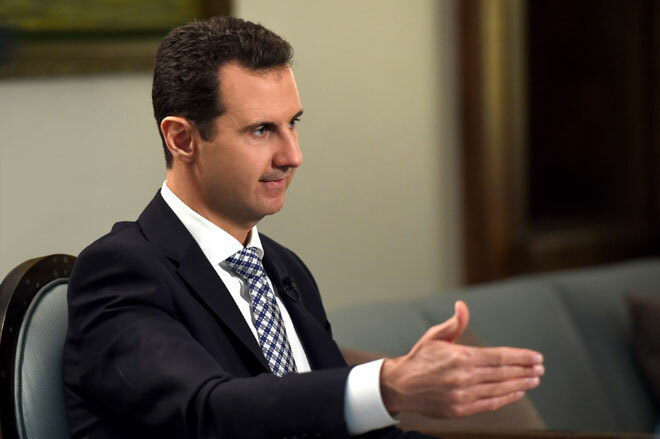 For me, if the Syrian people want me to be in power, I will be. If they don’t want me, I can do nothing, I mean, I cannot help my country, so I have to leave right away. Question 27: Let me read from a United Nations Human Rights Council report that was published in February 3rd, and it said “detainees held by the government were beaten to death or died as a result of injuries sustained due to torture.” They say war crimes have also been committed. What do you have to say to this? President Assad: That’s based on what the Qataris made about a year ago or more, when they forged a report made of unverified pictures of injured people and unverified sources and sent it to the United Nations, and this is part of the propaganda against Syria. That’s the problem with the West and propaganda; they use unverified information to accuse Syria and to blame it and then to take action against it. Question 28: The whole world was shocked by the image of little Alan Kurdi, the Syrian refuge, three years old, who washed ashore dead on a Turkish beach. How did you feel you saw that? President Assad: This is one of the saddest parts of the Syrian conflict; to have people leaving their country for different reasons. But beside the feeling, the question for us as officials that has been asked by the Syrian people: what are we going to do? What action has been taken either to allow those refugees to come back to their country or not to leave at all? You have two reasons here. The first one that we have to deal with, of course, is the terrorism, because those terrorists not only threaten people, but those terrorists deprive the people of the basic needs of their lives. The second reason is the embargo that has been implemented on Syria by the West, mainly the United States, of course, that caused more difficulties for the people to live here, especially in the health sector. So, we need to deal with these reasons in order to prevent this tragedy from being dragged on for a long time. Question 29: You mentioned that some of those refugees run away from ISIS, but some of them claim also that they are running away from the government, or like from the campaigns of the government in some areas in Syria. President Assad: I can give you the contradicting facts that you can see it while you are in Syria, that the majority of the people who live in the controlled area by the terrorists have immigrated to the area under the control of the government. So, if they want to flee from the government, why do they come to the government? This is not real. But at the time, whenever there is a battle, shooting, a fight between the government and the terrorists in a certain area, that is natural for the majority of the population to leave that area to another area, but that doesn’t mean they escaped from the government. Some of the families that emigrated to the government-controlled areas are the families of the fighters themselves. Question 30: Almost five million refugees fled Syria according to international counts. One million have crossed to Europe, what guarantees have those people that they can come back freely without fear of any reprisal? President Assad: No, of course they can come, I mean, this is their right to come back, unless somebody who is a terrorist or killer, but otherwise they did not flee from the government, and some of them, and I think a good number of them, are government supporters who didn’t leave because they’re afraid from the government. As I said, because of the standards of living that have been deteriorated drastically during the last few years. So, of course they can come back without any action taken from the government against them. We want people to come back to Syria. Question 31: What can the Syrian government do to stop that flow of refugees that has killed so many people drowning in the Mediterranean Sea. What can be done? 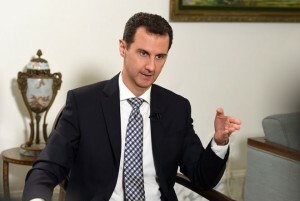 President Assad: As I said, it is not only about Syria, it’s about the rest of the world. First of all, Europe should left the embargo on the Syrian people; they don’t make embargo on the Syrian government, it is against the Syria people. Second, Turkey should top sending terrorists to Syria. Third, as a government, we have to fight the terrorists, definitely, and we have to keep the living moving forward by any means in order to allow the Syrians to stay in their country. This is the only way that could bring those people back or to convince them to come back to their country. And I’m sure the majority of them they want to come back to Syria. But, as I said, at the end you need to have the basic or the minimum requirements for living. Question 32: When you came to power, you promised democratic reforms; those times were come to be known as the spring of Damascus or whatever you may call it. Some people claim if those reforms have come faster, a lot of lives would have been spared. Other people claim, mainly the opposition, or the United States have also said it, that if you had stepped down a lot of lives would have been saved. What do you have to say to that? 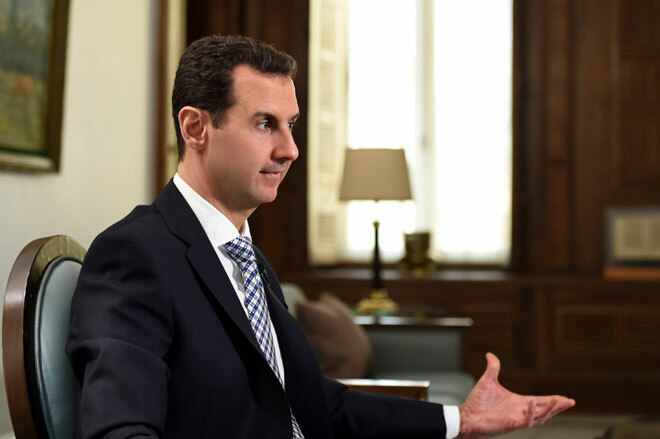 President Assad: The question is: what is the relation between what you have mentioned and Qatar sending money and then sending armaments and supporting terrorists directly? What is the relation? What is the relation between that and the role of Turkey in supporting terrorists? What is the relation between that and the existence of ISIS and al-Nusra coming to Syria? So, the link is not correct. If you want to change the president or the prime minister of any system in your country, in any other country, you only have the political process to move through. You cannot use the armaments. It is not an excuse to have armaments to say that I want to change the system or I want democracy. Democracy wouldn’t happen through the armaments. And the experience of the Unites States in Iraq is still telling. The same in Yemen. President Saleh left for the same allegations. What happened in Yemen? Is it better? That is not correct. There is no relation. We can achieve democracy through dialogue, but at the same time through the upgrading of the society towards the democracy, because democracy is not only constitution or president or laws and so on. These are tools or means to achieve it. But the real democracy, as a base, should be based on the society itself. How can we accept each other? This is a melting pot area; you have different ethnicities, different sects, different religions. How can they accept each other? When they accept each other, they can accept each other politically and this is where you can have real democracy. So, it is not about the president. They tried to personalize the problem just to show that it is a very simple problem: remove the president and everything will be fine. No one can accept it. Question 33: In these five years since the conflict started, do you think now as you see the country, many heritage sites destroyed, a lot of lives lost, would you have done anything differently? President Assad: In general, if we want to talk about the principles, from the very beginning we said that we’re going to fight terrorism and we’re going to make dialogue. We open dialogue with everyone except the terrorist groups. And we allowed the terrorists at the same time, we opened the door for them, if they want to lay down their armaments to go back to their normal life to be offered with full amnesty. So, that’s the principle of the whole solution. Now, five years later, I cannot say that was proved to be wrong, and I do not think that we are going to change those principles. Implementing the policy is different sometimes, because it depends on different officials, different institutions, different people, individuals. Anyone could make mistakes, and that would happen. So, if you want to change something, if you can change those mistakes that have been made in different places, that’s what I could have done, if I turn back the clock. Question34: So, would you say, from your perspective, from the very beginning those protests that were in Daraa and Damascus, from the beginning you labeled that as terrorism, they were infiltrated by foreign powers. How do you view those first demonstrations against the government? President Assad: At the very beginning, you had a mixture of demonstrators. First of all, Qatar paid those demonstrators in order to put them on al-Jazeera and then to convince the international public opinion that people are revolting against the president. The highest number of those were 140,000 demonstrators all over Syria, which is nothing, as a number, that’s why we weren’t worried. So, they infiltrated them with militants to shoot at the police and to shoot at the demonstrators, so you have more revolts. When they failed, they moved to send the tools to support the terrorists. But, do we have demonstrators who demonstrated honestly, they wanted change? Of course we have, of course, but not all of them, you cannot say all of them, and I cannot say all of them are terrorists. Question35: You visited Spain twice. Both Presidents José María Aznar and José Luis Rodríguez Zapatero visited Syria while in office. How have been the relations with Spain ever since? 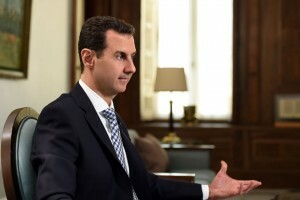 President Assad: Spain is against any adventurist solution in Syria. This is something we appreciate. They didn’t support any military action against Syria, they said that’s going to make it more complicated. They didn’t talk about deposing the president or interfering in our national affairs. They said everything should happen through political solution or political process. This is very good. But at the same time, Spain is part of the EU, of the European Union. That makes Spain restrained by the decision of that Union. We expect Spain to play that role, to convey the same message and its political point of view regarding our conflict to the EU. Question36: And in Latin America, were have you had the most support in Latin America, you feel? President Assad: Generally, and that’s strange, and maybe sometimes unfortunately, that those very far from Syria, very far away countries from Syria, have a much more realistic about what is happening in Syria than the European, who are much more closer, we are considered as the backyard of Europe. I’m talking about the formal and official level, and about the popular level. They know much more, and they support Syria politically in every international forum, and they haven’t changed their position since the beginning of the crisis. Question37: Brazil has one of the biggest Syrian communities abroad. How has been the relation with the government of Brazil? President Assad: We have natural relations with them, we have natural relations with Argentina, with Venezuela, with Cuba, with all those Latin countries we have normal relations. It hasn’t been affected by the crisis, and they understand more and more, and they support Syria more and more. This is contradicting with the European position.